Uses: Before and After, Corporate, Health Care Colors: Blue Lengths: 7 panel 13'-1" Heights: 6'-0"
Weight loss center customer privacy screens for weigh ins. Losing those unwanted pounds with the help of a weight loss program is awesome, but a lack of privacy at weight loss centers is one thing many people dislike. Why? Because often the process takes place right in the open and in front of others. That’s why many centers turn to Screenflex to solve this privacy problem. Wishing Wellness worked with our sales representative to select the right size room divider for the area and a soothing neutral color. 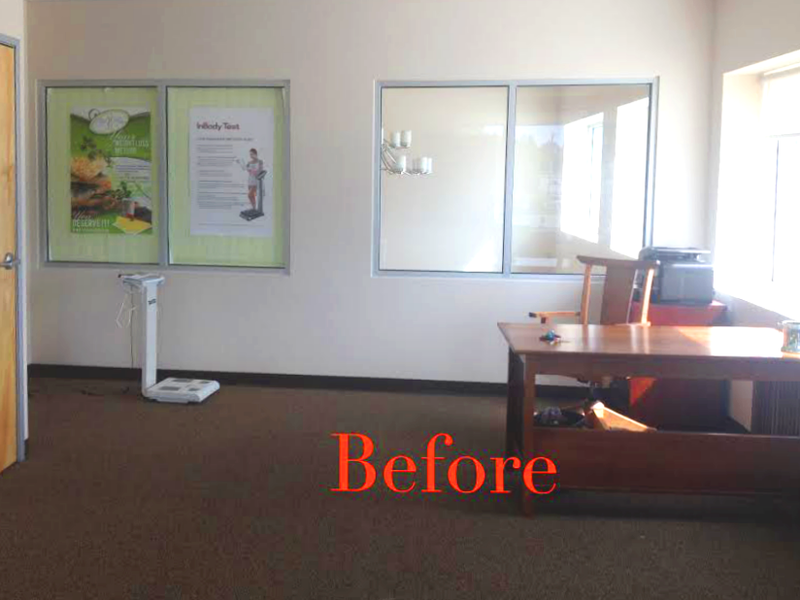 Recently, Estelle Strawn of Wishing Wellness LLC in Palmer, Alaska recently wrote us and sent these before and after images of how their center provides privacy for their customers at their center. Add value to the experience you deliver to your patients by protecting their privacy while they’re at your weight loss center. 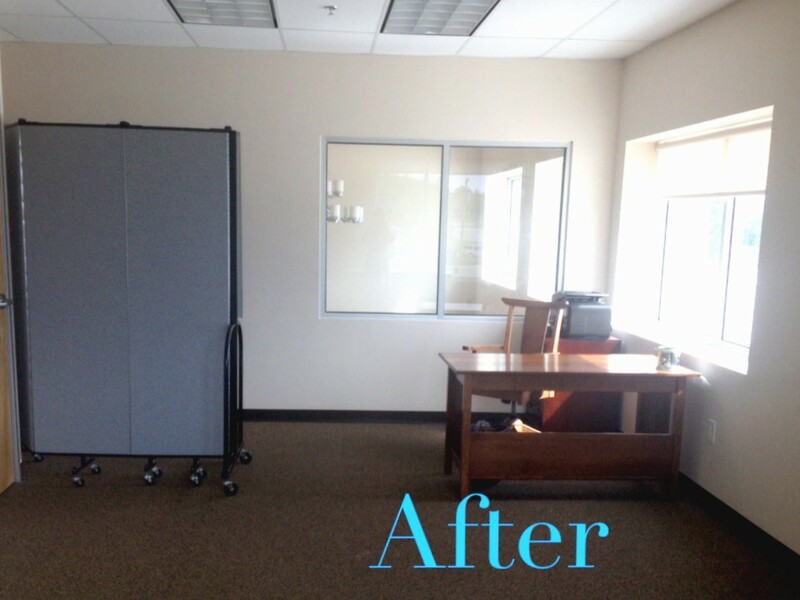 Use a durable, sound absorbing Screenflex Portable Partition to create private consultation and weigh-in areas in an instant. Call us at 855-960-6020, contact us by email at [email protected], or Live Chat with us on our website at Sreenflex.com.